There are Enough Hours in the Day. How many times have you heard or even thought, “There just aren’t enough hours in the day.” I have. Usually daily. And I’m sure most of us like to think, “Yeah, but I really do have more to do than most moms.” There goes my hand up in the air. I don’t know what makes us think that our lives are busier than the person across the street or next to us in line at Costco. Let’s face it, as moms, or dads, we all have busy going on. So, how do you make enough time for your kids, spouse, pets, house, work, self, etc? Honestly, I don’t know. But I want to give you the 5 top ways that have helped me stay organized and able to tackle the chaos that comes at me daily. If I can do these, you can, too. 1. PREPARE. I am a note taker and list maker. Sometimes to a fault. I have lists for everything from meal planning to grocery shopping, from workout plans to vacation preparation. Preparing and planning helps me stay on top of my game and helps me feel like I have some sort of control in a sometimes chaotic environment. So, what’s the best kind of list? Whatever it is that helps YOU feel like you’re in control. Personally, I like the old-fashioned clipboard, paper, and pencil method. But you can use anything. Use your notes tab on your smart phone. There are now even apps you can download to help with whatever planning you need. But use whatever best works for you. I’ll have more on menu planning, shopping, and saving money on next week’s blog. 2. STICK TO A ROUTINE. This one is not easy for me. As much as I love routine, I thrive on spontaneity. So often I want to ditch all my housework, keep the kids home from school, jump in the Montague van and just drive to somewhere remote for a milkshake. Obviously, this isn’t daily reality, so keeping to a routine helps me feel like I have control. So, when a day does come and no one has to work or go to school, we can do something fun and spontaneous. We live by the rule “Work Hard, but Play Harder.” Keep your routines tight so that you can have even more fun on those days off. 3. EXERCISE. You had to know that was coming. Why is exercise so important? Well, for one, it keeps our bodies healthy and when we have healthy bodies, we have healthy minds, homes, and kids. Exercise also, believe it or not, gives you more energy. All it takes is an extra 30 minutes out of your day. I know 30 minutes feels like an eternity when we already have such full days. But think of it this way. You could get up just 30 minutes earlier or go to bed 30 minutes later. If you’re not exercising, you’re probably tossing and turning in bed at least that amount of time. Exercise helps you stay more rested at night and focused during the day. So, you’re not actually losing 30 minutes of sleep, but gaining 30 minutes of activity. Exercise is also where you can blow ofF steam or stress and pull yourself together when you may feel like things are falling apart. 4. MAKE TIME FOR YOURSELF . Please hear me when I say how important this is. You are giving most or all of yourself to your family. But who’s giving to you? Sometimes you just need to spend an afternoon at the movies or take yourself out to lunch. Maybe you like a warm bath, a book, and a glass of wine. Sometimes a massage hits the spot. One of my favorite things is just to sit on my back patio, listen to music, and scroll through Pinterest. Whatever you enjoy doing, treat yourself weekly. It will recharge your batteries and help you realize that you are more than your kids’ mommy or daddy, more than a house cleaner, more than a paycheck. 5. SLEEP. Yes! You need to sleep! Most doctors will recommend at least 8 hours of sleep per night. Sometimes you can get by on 6 or 7, but don’t make it a habit. 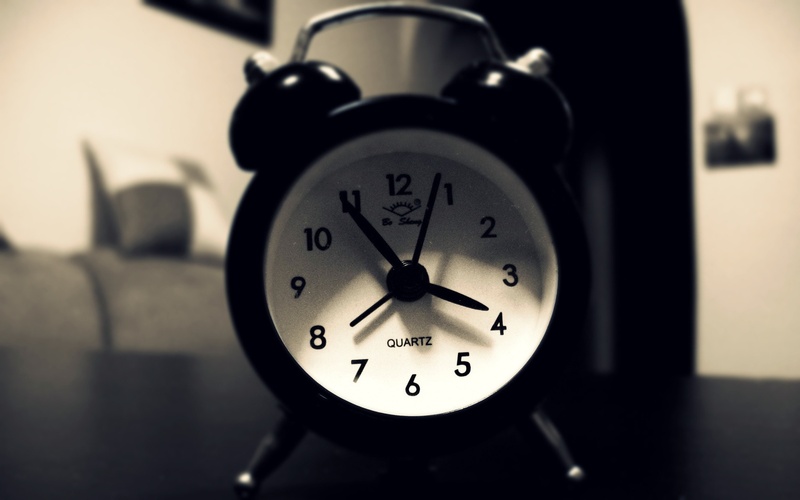 Set your body clocks and get in the routine of getting a full 8 hours of sleep per night. Again, this will help you get to your full potential during the day. If you’re not getting enough sleep at night, then try to power nap during the day. I’ve trained myself to shut my brain off for about 20 minutes during the day if I need a little boost of energy. I also want to add that I have an amazing support system in my husband and kids. I certainly couldn’t do anything without them. If you don’t have a support system at home, then find one somewhere either a moms or dads group, church group, best friend, or counselor. Parenting is hard, but you also want it to be fun. I am so excited for your blog, it hits the nail on the head in regards to the busy life challenges I have been feeling lately! I look forward to the wisdom you bring to the table. Thanks, Sarah! We are excited to share some of what we’ve learned along the way! Thank you for reading!